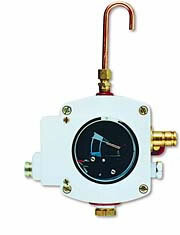 The FW Murphy LR857 Lube Level Regulator maintains the crankcase oil level of an engine, pump or compressor. Adjusted to the correct running oil level, the LR857 will replenish oil as it is used. An integral, low-level switch will alarm and/or shut down the equipment, if supply oil is lost and the equipment continues to use oil. 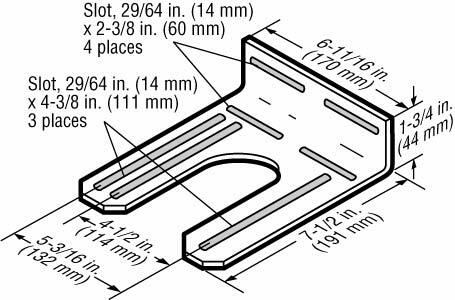 The LR857 maintains oil level on any size engine but is recommended for small- to medium-volume applications and installations that require a three-wire, snap-action switch. As crankcase oil level drops, the LR857 float also drops and opens the Thumb-Valve™. 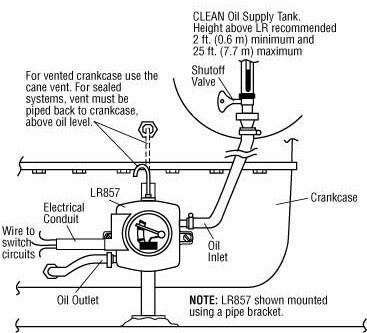 This allows oil to flow from the supply tank through the LR857 and into the crankcase. 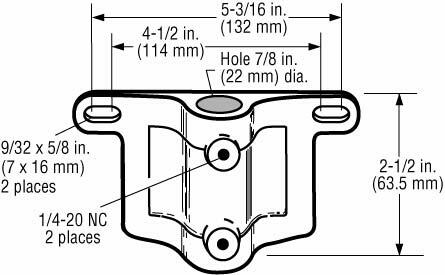 When proper level is attained in the crankcase, the LR857 float rises causing the Thumb-Valve to close off further oil flow. 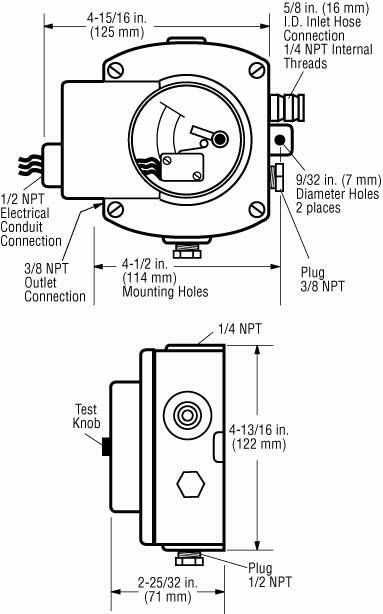 The simple and unique Thumb-Valve is non-clogging and provides a positive, leak-free seal. 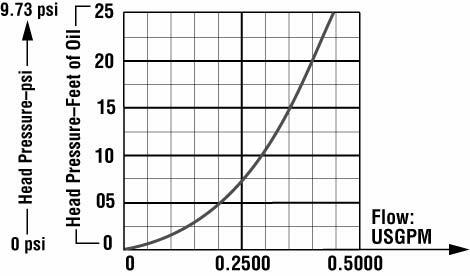 Flow rate through the 1/8 inch (3 mm) orifice is significant to allow crankcase refill through the LR857.